The other night I was racking my brain trying to remember the name of the hairspray I loved in high school. Many brands came to mind-Finesse, Salon Selective’s, Aussie, Rave, Final Net, ect., but they weren’t what I was looking for. I hit the internet in search of my beloved hair spray. While I didn’t find what I was searching for, I did find many of my childhood favorites and it was a true walk down memory lane. I thought I’d share them with you. I’m sure many of you will see some of your old go-to’s in the list. 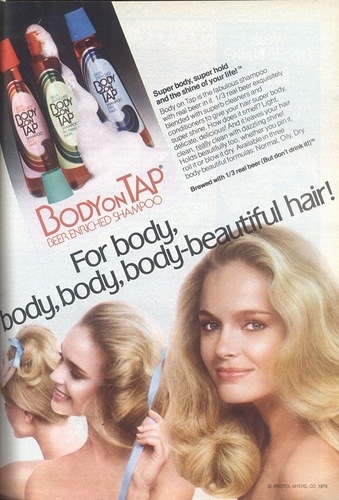 Body On Tap shampoo. This was the best smelling shampoo I’ve ever used. I absolutely loved this, and as kid, I thought it was pretty cool to use shampoo that contained beer. “Marathon looks just put on until you take it off”-can’t you just hear the jingle? 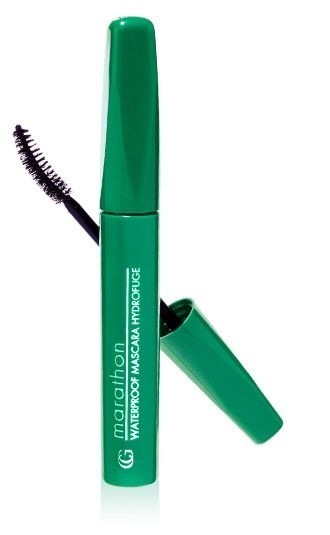 The first mascara I used that featured a curved brush, and it was also the best waterproof version ever! Kissing Potion lip gloss. So yummy, so glossy. Girls throughout the high school could be seen rolling this over their lips. Love’s Baby Soft fragrance. Oh youth! The locker room was ripe with the aroma of this drugstore gem. I bought some recently, for nostalgia’s sake, but it just didn’t seem the same. Village Lip Lickers balm. My mom turned me on to these. They were super cute and had a nice flavor. Plus, they really did moisturize well. 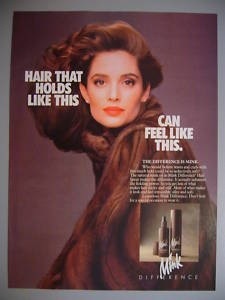 Mink hairspray. This seemed so glamorous. I don’t remember if it worked well or not, but the ads certainly got me to buy the product. 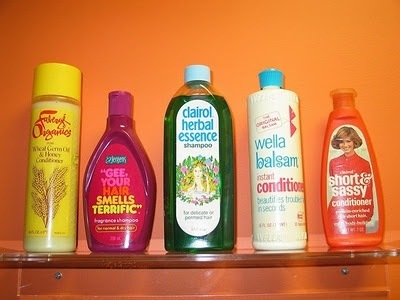 Some of the shampoo offerings of the 70’s and 80’s. I know each one was in our bathroom at one time or another. Tickle anti-perspirant. It was all about the bottle and the colors. I can’t remember if this worked either, but it was too cool looking to pass up. Farrah Fawcett shampoo. I really thought if I used this my short hair would suddenly turn into a mane like Farrah’s. I guess that’s why my mom wouldn’t buy it for me. A girl could dream though! Sun-In. The first hair color we used. Most of us walked around looking like orange poofs, but that didn’t stop us from using it every summer. The steam curling iron. You’d put water in the reservoir and then you could push a button to “steam” the curl. Came in many different colors and seemed so high-tech. Flicker razor. 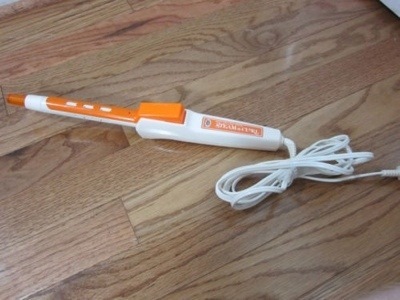 I think this was the first razor I used. We always had one in the bathroom. Again, very cool design and fun colors made it desirable to a teenage girl. 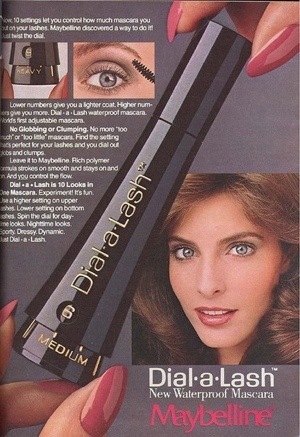 Dial-A-Lash mascara. You could control the amount of mascara that was on the wand, depending on your mood. It was something new and interesting and I had to have it. I hope you’ve enjoyed this walk down beauty lane. 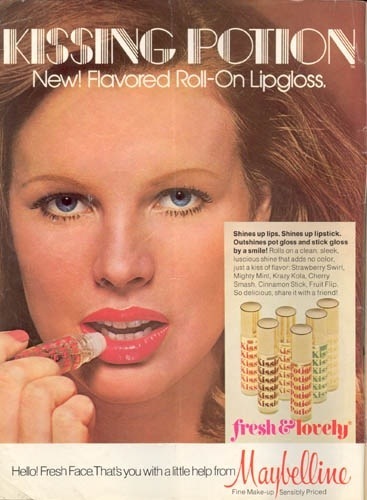 What were your favorite products from the eighties? Hopefully, I’ll be able to remember that hairspray. I know it isn’t made anymore, but I can still smell it. Holy Time Machine! I remember everyone, and am shocked at how many I hadn’t thought about in years! 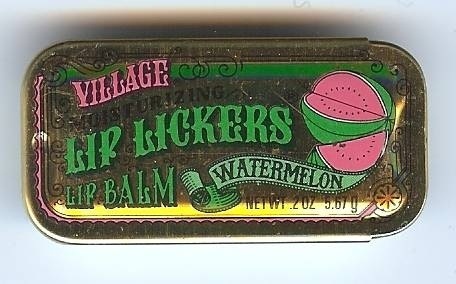 Watermelon Village Lip Lickers and Kissing Potion…OMG, would kill for some now!!! What a great read!!! This brought back so many memories. I remembered everything, but then I saw the Lip Lickers!! Holy cow – that looked like it came right out of my purse – scratched a little!! The curling iron – how well i remember. 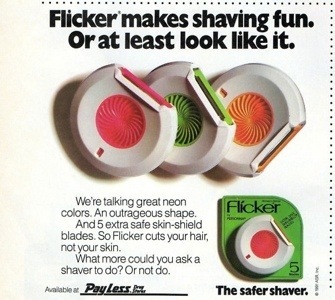 Flickers – loved that razor. But the Sun-In. My gosh, I used that stuff for years and loved it. How fun to read this. But you forgot one – Jean Nate!! !